If you’re looking to dabble into dabbing and hoping to figure out where to start, we’ve got you covered. We used to live in a time where cannabis consumption was fairly easy to keep up with. Either you rolled it, toked it, smoked it, or ate it. Count ‘em up. That’s somewhere around five common consumption methods. NOW – we’re talking countless, creative, ‘how in the EFF did you come up with that’ kind of ways. Because there’s been such passion infused into the industry over the years, it can sometimes it can feel a little over whelming. If you were to do a quick Google search on ‘cannabis’, you will easily come across at least these terms: Shatter. Budder. CBD Wax. Marijuana Wax. Rosin. Sugar. Sauce. Keef. Hashish. CO2. Crystalline Distillate. Live Resin. Crumble. Bubble Hash. Luckily, the only thing you really need to know, is that they are all just different forms of concentrates. Yup. Gotta keep up. It’s all about the concentrates these days. And for good reason; concentrates pack a hefty punch. Essentially, concentrates are derived from flower and may use a variety of different extraction methods to isolate the cannabinoid compounds, terpenes (the essential oils found in all plants) and trichomes (the little hairs found on a flower) from the plant matter. Typically speaking, with concentrates, you can get somewhere between 50% – 80% THC (the real top dogs get closer to 90% and up), whereas with flower, you looking at somewhere between 10% – 25%. This can make dosing with concentrates challenging to manage and so, if you are new to concentrates and are seeking out your limitations, its advisable to start low and slow. Like with most things cannabis. You can still tailor your experience with concentrates to be specific to your needs. You can find concentrates that are purely CBD, THC concentrates that range in potencies, concentrates that are heavy in terpenes, etc. Although most extraction methods make it difficult to preserve terpenes (due to higher heat methodology), it isn’t impossible. Its also not uncommon for terpenes to be re-introduced after extraction, for their therapeutic and aromatic benefits. Basically concentrates all start the same way, by extracting those lovely healing compounds, terpenes, and oils from the flower. This can be done a number of different ways (some even at home), but there are three stand out extraction methods that top the charts — in brief summary. This is the oldest trick in the book as far as using botanicals for medicinal purposes. Dried flower is soaked in ethanol or alcohol to extract the compounds. A machine is then used to heat the ethanol to the point of evaporation. After all of the liquid has evaporated, what you have left is a sticky oil that is commonly used to make tinctures, edibles and concentrates. This is essentially how all tinctures, and homeopathics start. Cannabinoid extraction with butane is a very specific science and can be highly volatile if not done with exact methodology. This is totally inadvisable outside of professional guidance. Let’s be real. Most often a glass or stainless steel cylinder is filled with dried flower, and very fine mesh screen is used to cover one end, then the container is filled with butane. The butane extracts the desired compounds and oils and slowly drips through the mesh screen. Kind of like a pour over coffee filter, only far more interesting. After extraction, using laboratory equipment, a complicated heating or ‘bathing’ and cooling technique is used to slowly evaporate and extract the butane. What you are left with is a sticky oil ready for the next step in production, which will vary based on the desired end result. 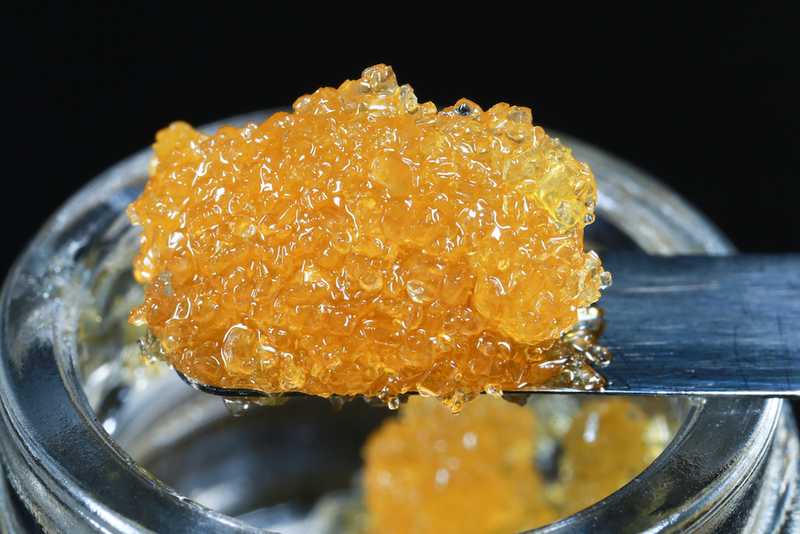 As this extraction process is the most common, its also the foundation for a ton of different concentrates including: shatter, budder, crumble, oil and wax. This method is specific to the type of consistency it produces. CO2 extraction is a very specific science as well and is also referred to as Supercritical Fluid Extraction. A cylindrical vessel is used to house the flower, and then various pressure and temperature controls are used to force CO2 through the plant matter. With very particular pressures and temperatures, cannabinoids, terpenes, trichomes and waxes will release from the flower and collect separately. By fluctuating temperature and pressure with the solvent (gases other than CO2 can be used, but CO2 is actually FDA approved, and the safest and most popular choice), different results are generated, creating different products such as wax and crumble. So, what’s what in the world of concentrates right now? Here’s what you should know (in summary) in order to keep your dignity if you’re ever pop quizzed by someone younger than you, OR if you’re looking to get amongst it a little. Rick Simpson is just out here giving us another reason to be proudly Canadian. Also the man who ‘rediscovered’ the cure or cancer. Rick is a pioneer when it comes to taking your health into your own hands. After being diagnosed with basal cell carcinoma (an aggressive form of skin cancer), Rick took the bull by the horns after having no luck with medical intervention. Reflecting on the success he had taking cannabis extracts for an earlier bout with tinnitus (a persistent ringing in the ears), he decided to apply the concentrated cannabis directly to the cancerous spots with a topical application and cover them with bandages. After famously waiting for four days, Rick removed the bandages that were covering the spots, only to discover that they had disappeared entirely. 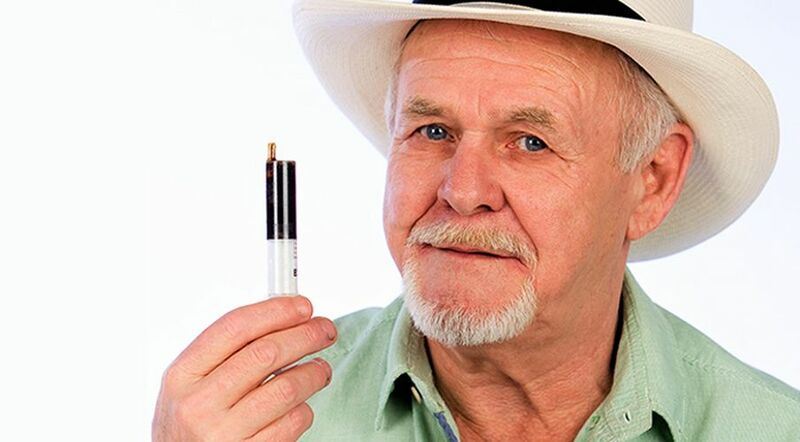 Rick has dedicated his entire life since, to the advocation of medical cannabis, cultivation and the distribution of cannabis concentrates (made using the RSO method) FREE OF CHARGE to those in need. Despite a constant struggle with the legalities behind cultivation and distribution of cannabis in Canada, Rick has persisted tirelessly to help those in need. So, bless you Rick Simpson. Really. You are the man. 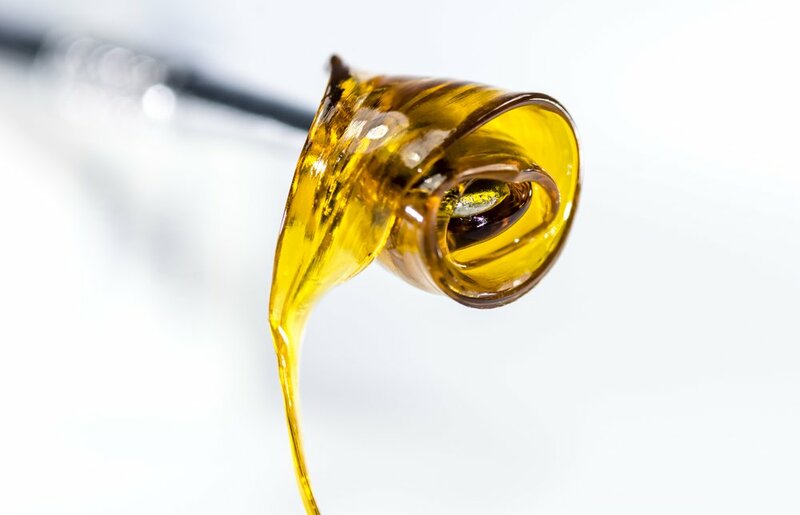 Secondary to Ricks incredible efforts, it is also incredibly easy to experiment with making your own oil or concentrate using the RSO method. Check out the the Rick Simpson method here. Experiment responsibly, and always follow directions exactly. This isn’t the time to be a hero – we already have one, his name is Rick Simpson. They call it ‘live’ for a reason. This method actually preserves, not only the cannabinoids and terpenes of the plant, but it also preserves the energetic matter of a living, flowering plant. Cannabis flower is cut fresh and before being dried is flash frozen, preserving far more cannabinoids, trichomes, oils, and terpenes for extraction then by using dried flower. This method, for this reason, also gives a more distinguishable, flavourful end product. Once the product is ready for use, specialized equipment is used to extract the resin (a term for the combined healing compounds extracted) from the frozen plant, and voila, you have live resin. I use the term ‘voila’ loosely. Traditional Hashish dates back thousands of years and is quite widely known in the cannabis world. 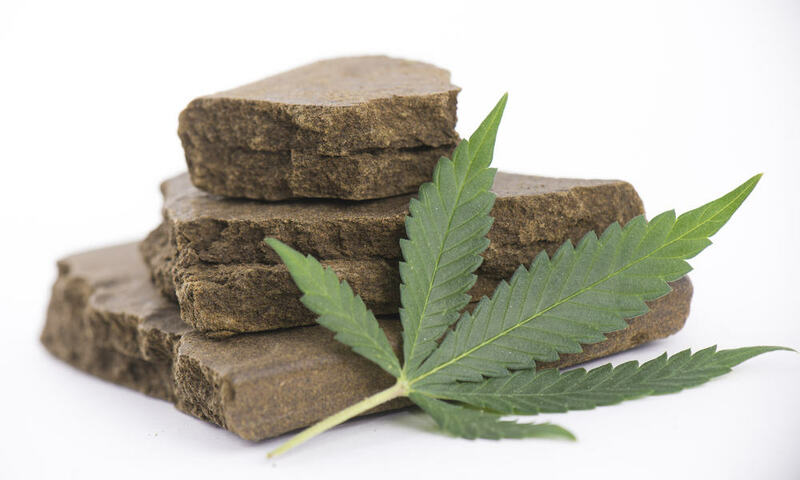 Hashish or just ‘hash’ is made by shaking cannabis over a very, very fine mesh screen and collecting the crystals in a vessel below. It’s quite common to see cannabis stored in a container of this nature, to collect the keef or crystals long term. Once collected, the crystals are pressed into a solid brick, which is then cut from for consumption. The most basic way to make a little concentrate at home. 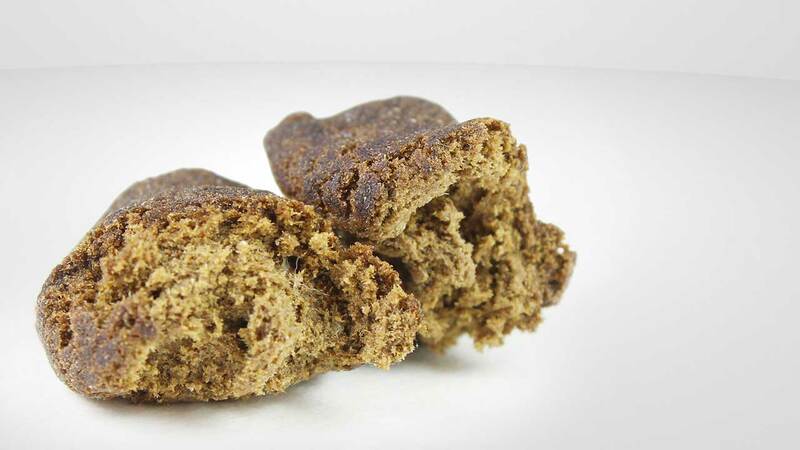 As with Hashish keef is collected, but instead of being pressed into a solid, the crystals are collected into parchment paper, folded over, and heat is applied with an iron over the paper until (after cooling) you have a solid substance. The solid stuff can be used consumed in a variety of ways. Another chilled approach to cannabis extraction. With this style, whole cannabis plants are submerged into large buckets of iced, iced, ICED water. As the plant freezes, the trichomes break off from the plant matter, freezing and suspending in the water. Once the plant matter has been stripped of the good stuff, the water is filtered through for extraction. The trichomes and other compounds are then thawed, and dried, which produces and leaves you with a dried, sticky power that can be formed and used for consumption. 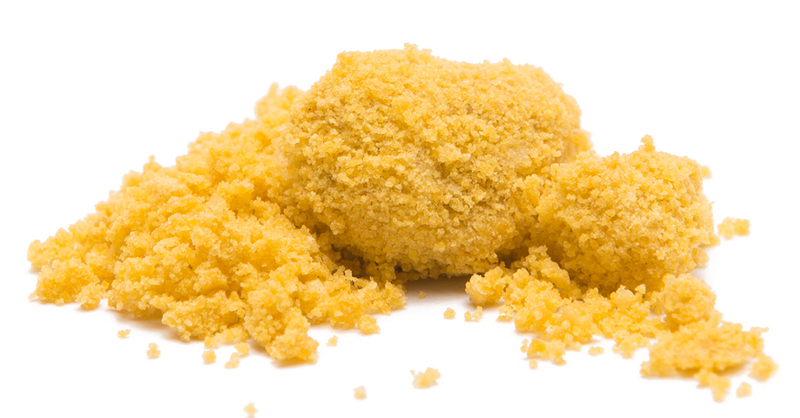 Budder begins like many other concentrates, by being extracted from plant matter using BHO. With budder, after extraction, the oil is then whipped vigorously until it has the consistency of a softened wax or whipped butter. The budder can then be used for dabbing. This technique tends to produce a produced slightly lower in THC, but is known for having the highest levels of naturally occurring terpenes in a finished product. Shatter is, without a doubt, one of the most pure products out there. It’s also one of the most potent, reaching around 80 percent THC in a finished product. It’s really upped the ante. This concentrate begins with a butane (BHO) extraction. 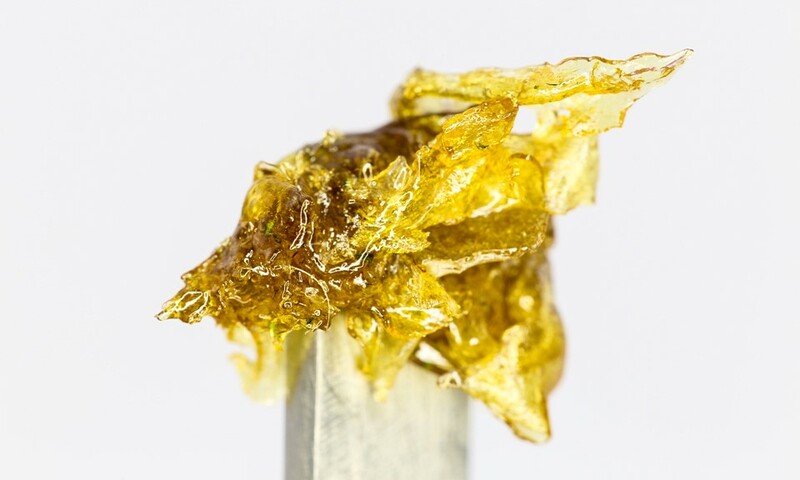 Shatter, however, actually uses a double butane extraction method that really filters out substantially more of the remaining plant matter and fats from the product. Once the extraction process is complete, the resin is poured onto a flat surface and is dried. Once dried and hardened, this end product has a reputation for resembling glass, due to its extreme transparency. Shatter does have a bit of a lifeline though, and is recommended to be used within a reasonable amount of time. The longer you keep shatter, the more finicky and difficult to work with it can come. Last, but not least, we have crumble. This is yet another creation of the ‘butane extraction’ variety. 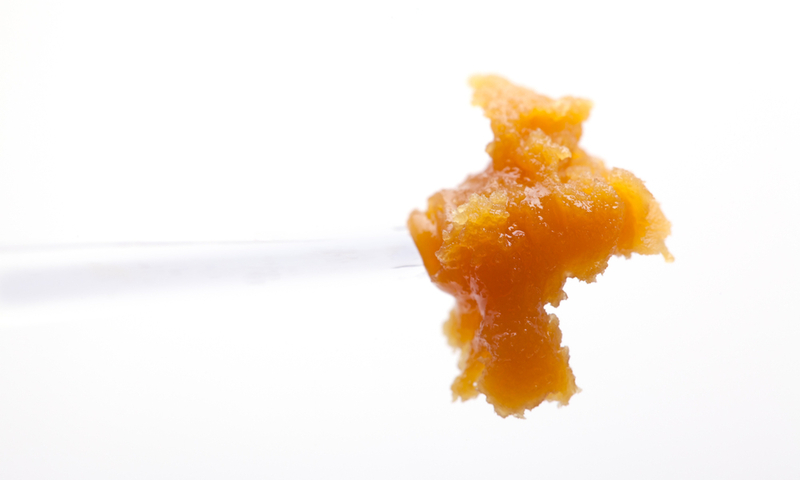 With a specific heating and cooling technique used during extraction, a waxy concentrate develops. The end product should be a little crumbly (shocker), crystallized and resemble a sort of honeycomb. Whether it’s shatter, crumble, wax, resin, hash, or RSO, there’s a concentrate for every mood, every person and every need. There are no rules to this thing — aside from consume responsibly and start low and slow. Again, because concentrates are fun. And losing a little dignity because you got too stoned, is not.